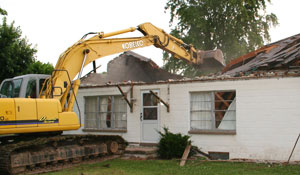 CDP Excavating Services, LLC is a family-run demolition company in Syracuse NY offering demolition services, excavation, pool removal, concrete work and more to customers in Central New York. We’re fully licensed, bonded and insured and our staff is dedicated to superior service no matter what your demo project may be. With over 20 years of serving customers in Central New York, we’re one of the most experienced and knowledgeable land development contractors around. 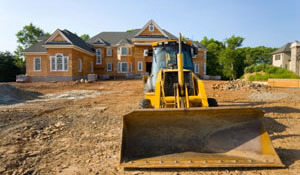 We offer land clearing, new home site preparation, commercial excavating, site grading, trenching and more! Call (315) 430-0048 today for a free quote on your next excavation project. Choosing to remove your swimming pool is a smart financial decision that will help put money back in your pocket and can increase the value of your home. 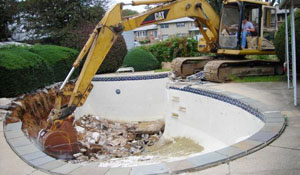 Above ground pool removal, partial pool demo or complete pool demolition in Watertown NY, we have you covered. 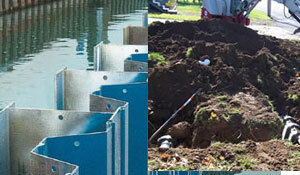 At CDP Excavating Services we are committed to complete customer satisfaction. let our friendly staff help answer all of your questions and concerns.